an evening with ROBERT W. RESNICK, PH.D.
Open to psychotherapists, counselors, students and anyone interested in learning about this engaging, nuanced and powerful approach to psychotherapy. Join Bob Resnick and MAP alum Evonne Noble for this presentation and discussion. 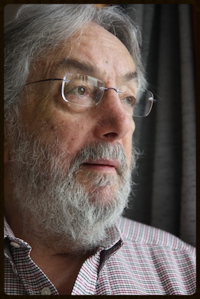 Bob Resnick is one of a handful of Gestalt Therapists personally trained and certified by Fritz Perls has been "under the radar" for almost 50 years. These new contemporary Gestalt Therapy films demonstrate the power of a non-interpretive, phenomenological and dialogic approach to psychotherapy. The event will begin with a 30-minute theory film describing Bob's distillation and integration of Gestalt Therapy over the past 50 years and then be followed by two NEW therapy films showing a real therapist working with real people dealing with real issues and in real time (if you attending in 2015, these will be different films). There are no actors and nothing has been edited in or out. These films come from GATLA'S long running (45 years) European Summer Residential Gestalt Therapy Training Programs For Therapists. The dialogic relationship between therapist and client is the "freshest fish" for both client and therapist to access and track this crucial process. While the relationship is sometimes figural in the work, it is always a fundamentally important part of the ground. The engagement of the two phenomenologies allows for difference that in turn, allows for awareness and learning - the stuff of therapy. Robert W. Resnick, Ph.D., Clinical Psychologist, has been a Gestalt Therapist and Couples Therapist for over 50 years and an international trainer for over 45 years. Trained (1965-1970) and personally certified by examination (1969) by Drs. Fritz Perls and Jim Simkin. He was chosen by Fritz Perls to introduce Gestalt Therapy to Europe to in 1969. He has been doing training in Europe many times each year now for the past 45 years in addition to ongoing training programs in Los Angles and Seattle. Bob's style is warm and engaging and he speaks with clarity and humor.